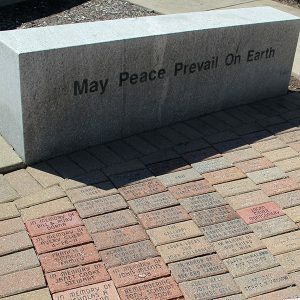 Greater Anderson Promotes Peace (GAPP), a local not-for-profit organization, which serves the Greater Anderson area, provides community-building activities and programs that honor diversity and promote inclusion. 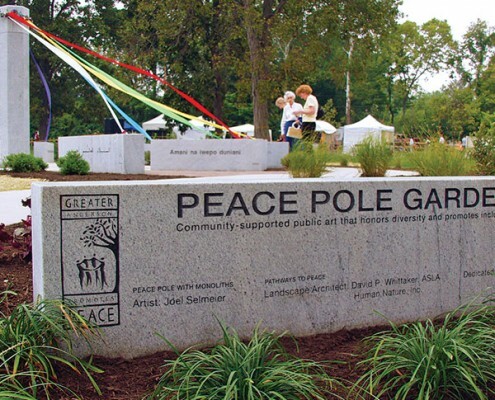 Their Peace Pole Project issued a Call to Artists in 2000. 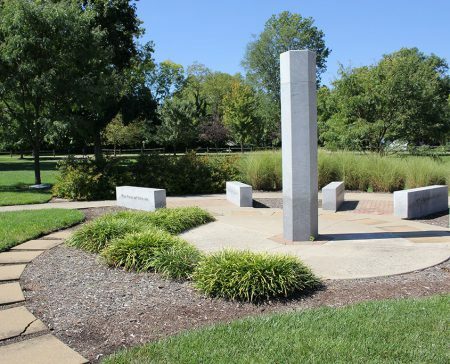 Through popular ballot, our community chose a proposal by Anderson artist, Joel Selmeier. 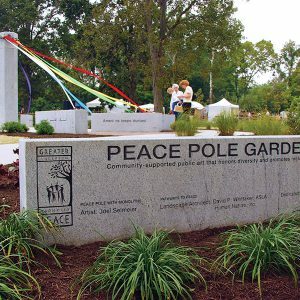 The GAPP Peace Pole Project took shape September, 2005. 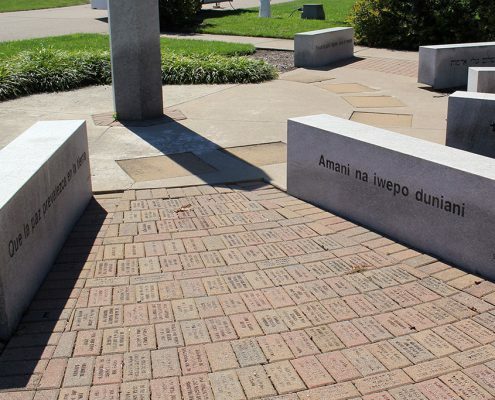 There are 12 different translations of “May Peace Prevail on Earth” inscribed on six stone monoliths surrounding a smooth 9-ft. granite pole. 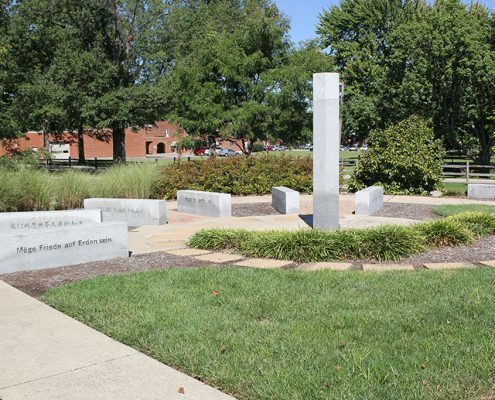 The project consists of several tons of granite, sculpted into a seven-piece arrangement. The surrounding landscape makes creative use of simple elements, yielding a fresh and functional space that serves as a symbol of Anderson’s commitment to celebrating diversity. In collaboration with other area nonprofits, GAPP is developing community-enriching programs for the site that will engage head, heart and hands. 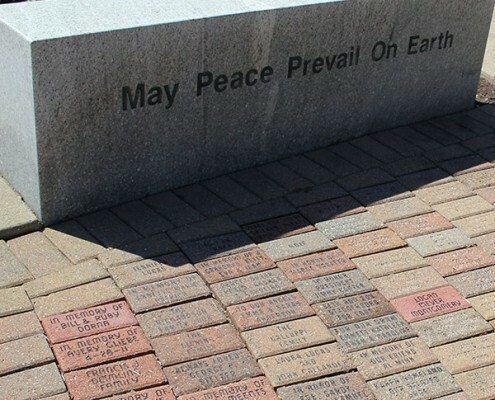 This entire project has been funded through the generous donations from numerous individuals, families, area organizations, and faith communities.